There's no loyalty as pure as that which a dog offers his master. Their love is infinite, constant and unwavering, steadfast and true. 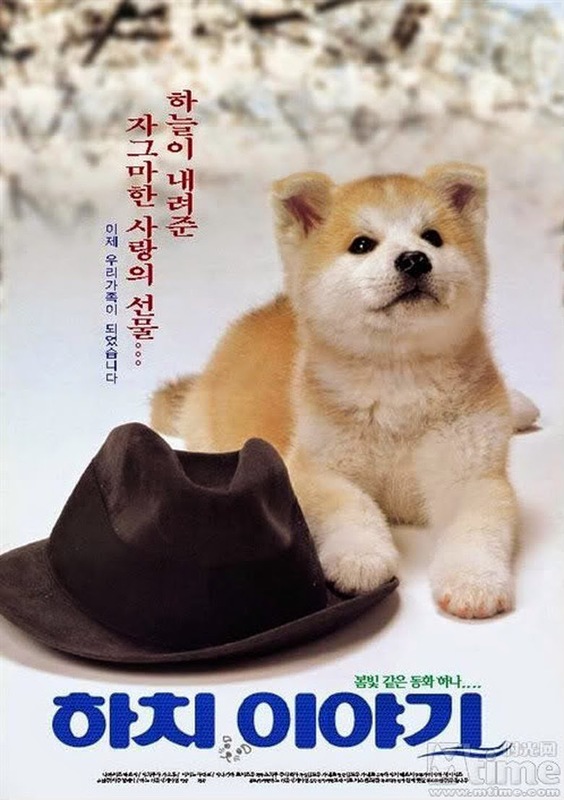 Hachiko Monogatari, based on a real story, is the tale of the most faithful and devoted dog of all. When his master and companion, Professor Ueno, passes away Hachiko is left alone - the person he cares for the most has gone as has his reason to live; his rasion d'etre is to love unconditionally, selflessly and immutably with all his being. Alas, Hachiko must continue the only way he knows how - and that is to live each day in unadulterated love. Every afternoon, the Akita makes his way to the train station from which Professor Ueno would return from work, and every night he would leave forlorn and solitary. Whereas his master was never to return, Hachiko persevered with a devout loyalty and optimistic desire that one day they would be united. For the lovers and dreamers of the world, hope dies last. Directed by Seijiro Koyoma, Hachiko Monogatari is a powerful tale which is sure to resonate equally with dog owners or, indeed, anyone who has ever experienced the warm glow of devotion. Shot with meticulous period detail (the film is set in the early 20th century), Hachiko patiently builds from the very beginning of the dog's life - the birth sequence is one of the most startling and joyous scenes in cinema - through to the hardships of being old and alone. Along the way, Koyoma's take on the real life legend teaches us the values of loyalty and show us what it is to grieve. A funeral ceremony, performed with staid and formal rigidity, is interrupted with the most truthful and visceral reactions - Hachiko howls, his throat unleashing existential, visceral anguish in the only manner he can communicate. It represents a moment of profound truth, trauma, longing and pain. As we watch Hachiko, we yearn to forever be delivered from such suffering but aspire to match his passion - feeling such torment can only come from one who has loved with all their heart, all their being. We watch the Akita struggle with longing and loss and, in the course of 107 minutes, a dog shows us exactly what it is to be human. Hachiko is such a symbol in Japan, they put a statue of him in the train station where he used to wait! There's a statue in Edinburgh too of Greyfriars Bobby - another dog with a very similar story.